No doubt, you will too! In this article, we review the Romantic Baboy Tomas Morato branch. Enjoy Romantic Baboy's Unlimited Pork + Beef set for only ₱499 (around $9.33) per head. At this point in time, you'll most likely have to wait in line to be seated. Pass by the corner of Sct. Rallos and Tomas Morato, and you'll most likely spot a crowd at the bold facade of Romantic Baboy. This is almost guaranteed any time of day. If you're a foodie, two things would easily come to mind: either the place is all hype, or it really must be that good. Whatever the case may be, we were down to find out what the ruckus was all about, so we decided to visit the Korean grill one Sunday afternoon. As expected, we waited in line for long hours — about two and a quarter — but as soon as we were seated, we were treated to something we did not expect. We're talking about the cheese. 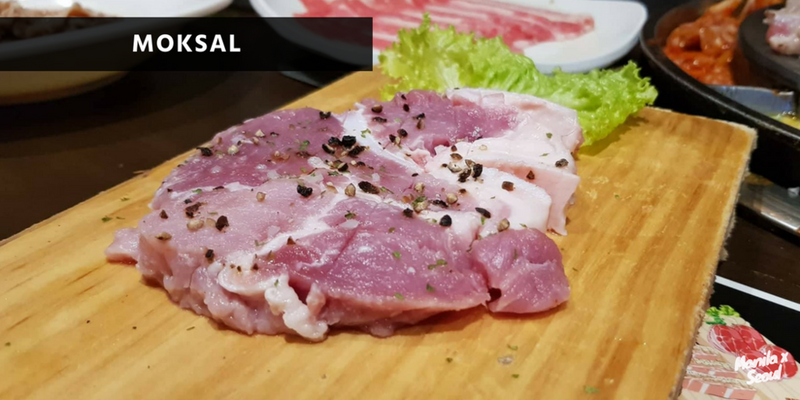 We've tried a couple of Korean grills in Metro Manila before, and not a lot of them had something as delightful to offer. This is precisely why you should pay Romantic Baboy in Tomas Morato a visit. You can follow the standard R-O-M-A-N-T-I-C sequence, i.e. getting R & O first, followed by M & A, and so on. However, if you'd like to skip this pattern and just go for the Spicy Beef or Moksal right away, you're very welcome to do so. Side dishes they may be, but the Korean grill experience would not be complete without them. So go ahead, and try out all banchan and veggies! Oh wait, there's also the egg to try! We just had to point this out. If you're not in the mood to get the unlimited meat, you can also order a la carte. Here's their menu. Despite the wait, we really loved the entire experience! If you haven't yet, we wish you happy grilling on your visit! There's a sign inside the restaurant that says "You don't think about diet once you step in here." YAAAS. If you're a K-pop fan, Romantic Baboy's video playlist will get you on the groove while you eat. If you're not sure what meat you're going to get next, look up. There will be menu boards on the wall. Ladies, expect to get something from the Romantic Baboy when you check out! He wouldn't be called romantic for nothing. This hit Korean grill is open from 11am-2am. You can reach them via this number (02) 374 7948. Here are other Romantic Baboy branches where you can get your unlimited Korean BBQ fill! To verify if the site near you is open, check out Romantic Baboy’s Facebook page here. Like our Facebook page to get the next updates!